As part of Careers Week Claire Calladine came in to visit Year 1 & Year 2. She told them how she used to be a nurse in the army and is now in charge of training nurses at the Queen Elizabeth hospital. 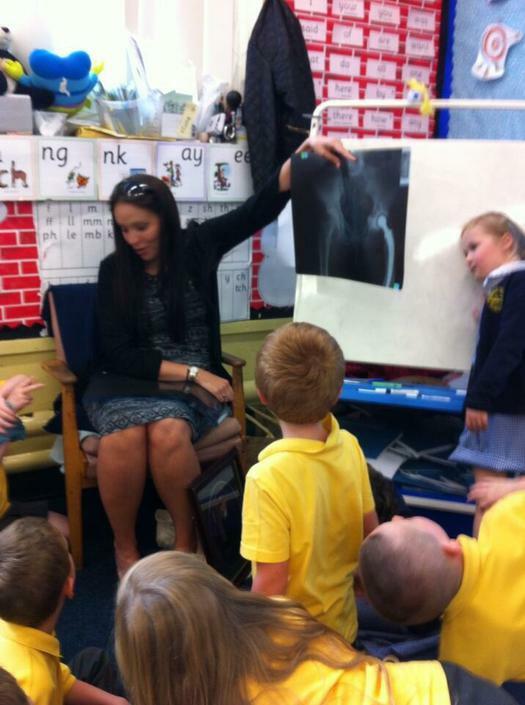 She told us what her duties were and we even got to look at a real X-ray. Lots of us now want to grow up to be a nurse!